JULIAN STATION: Lilacs, Ancient Beads and Julian Hard Cider is Back! Lilacs, Ancient Beads and Julian Hard Cider is Back! Lilac season is officially here! A limited quantity of lilacs will be available begining this afternoon. We expect abundant quantities to be available by next weekend. Speaking of which, April 25th, Wynola Farms Marketplace will be hosting the Julian Earth Day Fair along with our usual Julian Certified Farmers' Market from 11:00-4:00. There will be Green Products, Educational Displays, Fun Activities for kids, Community Garden info, and lots more. Join the fun and stock up on organic produce and healthy bakery goods at the same time. If you have something to share with the community and would like to participate contact Donna Turner at 760-445-9470. The Julian Certified Farmers' Market will take place this Sunday, as always, from 11-4 pm. This week our beloved Sambusa vendor will be back with his coveted fried wraps. We will also have Julian Bakery breads, Tamales, La Spice Nuts, Voodoo Queen Salsa, Tupperware and 7 booths full of fresh, organic, local fruits and vegetables. The Ancient Bead Show will take place this weekend at Mountain Beadworksin the Wynola Farms Marketplace shopping center from 10 to 5pm on Saturday on Sunday. 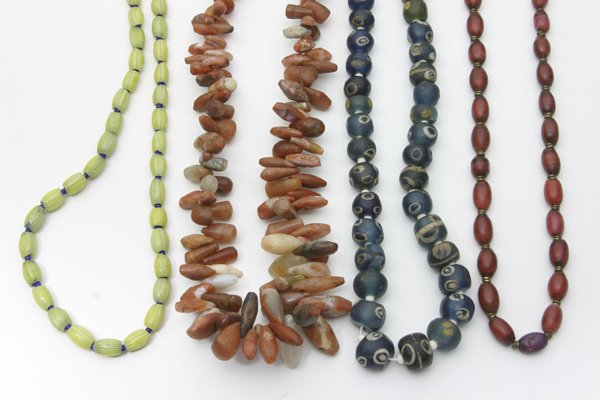 This annual event will feature beads up to 7,000 years old, along with lectures both days. For more information please call 760-765-3100. For those of you that became deeply concerned when Julian Hard Cider sold out a few weeks ago, worry no more! Julian Hard Cider received a shipment of their fine drink this week and will be pouring tastes and selling bottles of hard cider to go all weekend long. We invite you to buy a bottle and enjoy it with your friends on our outdoor patio area.